If you’ve got a little learner (or two or three!) 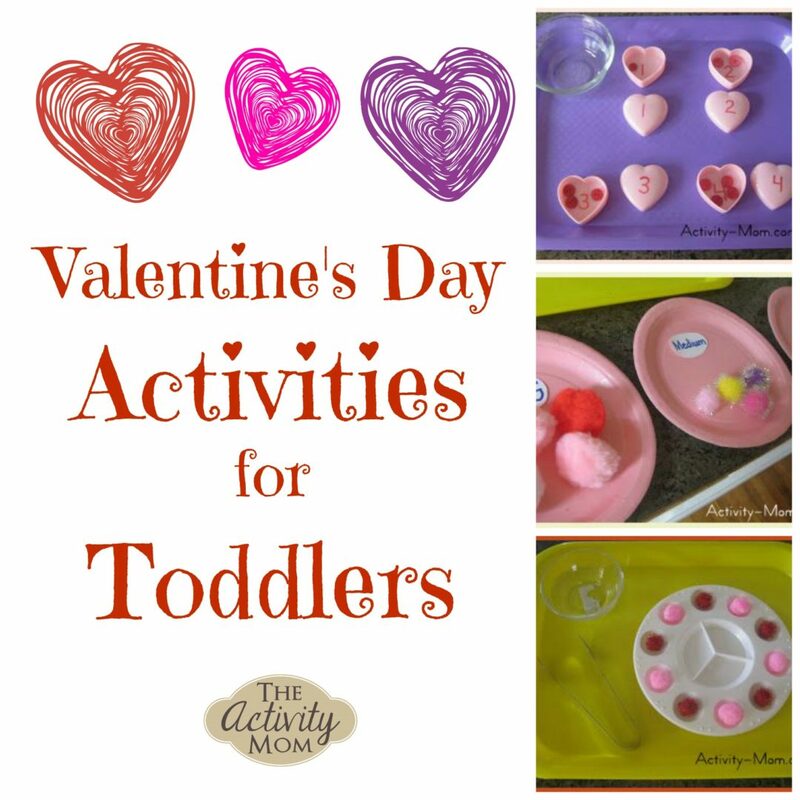 in your house, how about creating some fun Valentine-themed tot trays? 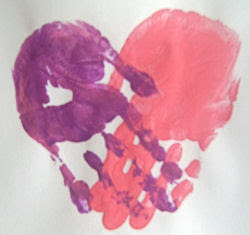 Maybe you want to take it one step further and invite some friends over and host a Valentines Day Tot school! 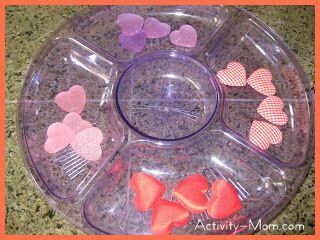 To get you started, here are some fun trays that you could set out for tiny hands! 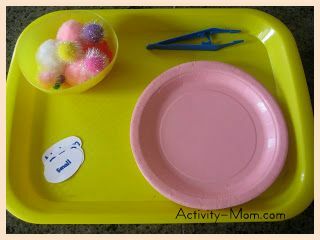 A paint tray, some tongs, and pompoms are perfect for transferring and patterning! If tongs are too tricky, let tots use their fingers or try hand-over-hand to get them used to the feeling of squeezing. These little heart boxes are from the Dollar Tree and I just wrote numbers on them with Sharpee. Then I added some red buttons that they could count and match. Plus, opening and closing the boxes is an activity in itself! 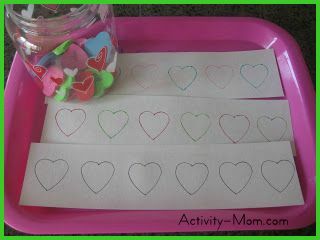 I grabbed some packages of heart-shaped erasers at the Dollar Tree and traced their outlines and colors on strips of paper (I also laminate everything; I LOVE the laminator I have, which is THIS one). The kiddos had to match the color to the strip, which is great for pattern recognition! 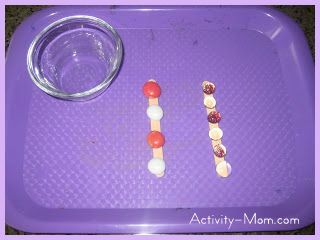 Put out a sugar shaker and some pink and red pipe cleaners and you have a great fine motor activity! 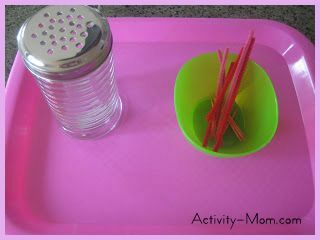 Bump it up a notch and teach tots how to unscrew the lid and it becomes an activity with even more bang for your buck! I picked up this chips and dip plate at the Dollar Tree (notice a trend? I love the Dollar Tree!) and added some heart-shaped erasers (which were all placed in the middle circle). Tots had to sort the hearts into similar groups in each well. 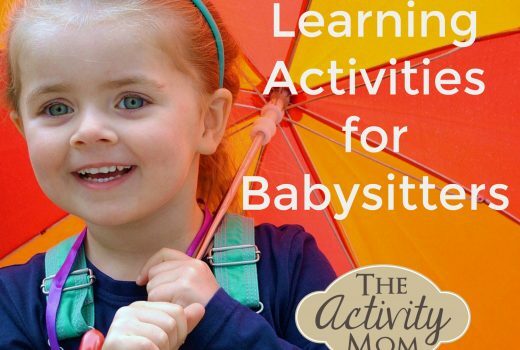 Your kiddos will concentrate so hard with this one! We call it Pebble Balance and all you need are some popsicle sticks and glass pebbles. 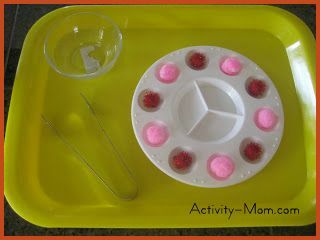 They have to balance the pebble on the stick, and if they’re ready, try patterning them in an AB pattern! 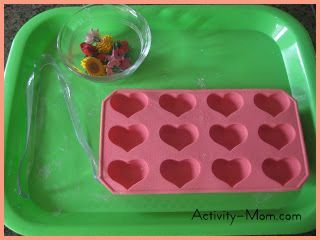 Ikea sells these cute heart-shaped ice cube molds (and actually, the Target dollar spot has them right now, too!). I added some plastic tongs and flowers for them to transfer, encouraging one-to-one correspondence. And finally, I put out some plates, some labels, and pompoms in three sizes. I also added tweezers but found most kids liked to use their fingers. 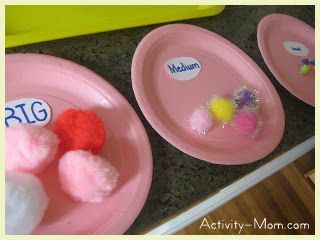 They spread the plates out, labeled them, and then categorized the pompoms by size! So what do you think? 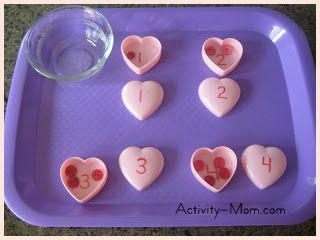 Could you make some Valentine-themed tot trays for your little one? Will you like to participate on my giveaway, visit my blog.